The month of January brings about thoughts of the cold, snow and New Year’s resolutions. For pilots, we think of the Sebring U.S. Sport Aviation Expo! From January 20th to 23rd, 2016 pilots and aviation enthusiasts alike will join their friends and family in Sebring, FL for an annual celebration of light sport aviation. Exhibits are open 9AM to 5PM daily. For the past ten years, Aviation Insurance Resources (AIR) has had a presence at Sebring. This year you can greet Jon Harden, Chris Wolbert, Gregg Ellsworth and Joe Cacho at booth T207. AIR provides a full range of aircraft insurance including light sport aircraft (LSA) such as the Flight Design, Czech Sportcruiser, CubCrafters and more! AIR represents all of the major aviation insurance markets so we can offer you the broadest package of protection at the best available rates. For more information, stop by Booth T207 at Sebring or call 877-247-7767 today! You may also visit us at www.AIR-PROS.com and follow us on Facebook, Twitter, LinkedIn, and Google+. Kyle, tell us about how you got your start in aviation. I was always the kid who wanted to be an astronaut. My teachers told me I had my head up in the clouds, but they didn’t have any idea how right they were! I was able to put myself through skydiving training by packing parachutes until my fingers bled, but once I finished my engineering degree I crammed my first few paychecks into a Cessna 152’s gas tank and the rest is history. You regularly fly with your girlfriend, Tara. Why do you enjoy sharing aviation with others? Flying with others is the best way to keep from taking things for granted. Little things like talking on the radio fascinate the uninitiated. It brings joy to all corners of the experience! Tara has been flying for a few years now, and even though she’s used to it she still points things out to me about the experience that I’m used to taking in stride. Also, taking passengers is a great way to keep from becoming complacent, as you find yourself worrying more for their safety than your own. What was one of your most memorable flights? My flight from Lantana (KLNA) airport in West Palm Beach back home to Frederick MD (KFDK) two Christmases ago gave me a run for my money. A 9-hour flight in my Rans turned into a 3-day adventure with 100 miles of Florida/Georgia beaches, sleeping on FBO couches, trading sandwiches for pre-heats and making new friends in aviation! Long distance VFR is always a challenge but that trip was one for the books. What is the best piece of aviation related advice you have received? How did you first get in touch with your AIR friends, Jon and Victoria? I first met Jon while taxiing past his open hangar in my 1st airplane, a 1/2 VW powered Preceptor Pup. I wanted to check out his Pitts and he wanted to check out the Pup! I met Victoria while she was making preparations for a women in aviation event in between hangars on our airport. AIR is fantastic because they’re pilots and they love their work. Why do you trust your insurance to AIR? I know that Jon and Victoria care about me as a person more than they care about my plane or my policy. I have no doubt that if I ever need to make a claim they’ll be more interested in making sure I’m OK than anything else. 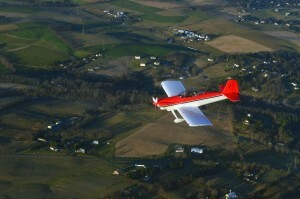 Being insured through AIR makes me feel free to enjoy my life in aviation! Just keep an eye out for those Florida thunderstorms. All agents at AIR are pilots or come from a strong background in aviation. When you call AIR, you will always find yourself talking to a person who is as excited about your aircraft as you are. As we did with Kyle’s Rans insurance and later his RV insurance, all of our agents at AIR will take your needs personally as if they were their own. To find out more about Aviation Insurance Resources and to receive an aircraft insurance quote, please contact Aviation Insurance Resources by calling 877-247-7769 or visit AIR-PROS.com today.You can also follow us on Facebook, Twitter, LinkedIn, and Google+. When talking about general aviation aircraft, one brand immediately comes to mind: Piper Aircraft, Inc. With roots extending back almost 90 years, Piper Aircraft has continued to be a pilot favorite. 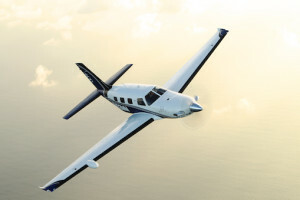 The new Piper M-Class aircraft series now offers pilots a six seat single engine aircraft with all the bells and whistles. The M-Series has been a process of evolution for Piper Aircraft, starting with the pressurized, 310 horsepower Piper Malibu in the 80s. A few years later, the turbocharged Malibu Mirage took form with a newly designed wing and 40 additional horsepower. An unpressurized, turbocharged version was also produced under the name Piper Matrix. For those looking for more power and efficiency, a turbine engine after-market conversion for the Malibu and Malibu Mirage called the JetPROP DL and DLX are available through Rocket Engineering. The latest step in evolution of the Piper series includes improved safety and the latest in Garmin technology. Essentially an improved Mirage featuring a 350 hp Lycoming engine, the Piper M350 boasts anti-hypoxia tools and cruises at 213 knots. Building upon the Meridian line, the Piper M500 is a single engine turboprop with an updated G1000 panel, a 500hp Pratt & Whitney engine and cruises at 260 knots. Topping off the series is the M600. The Piper M600 includes anti-hypoxia tools and 100 extra gallons of fuel, making it an excellent cross country machine with a range of 1,300 nautical miles and a service ceiling of 30,000 feet. The clean avionics panel includes a Garmin 3000 suite with two 12.1-inch PFDs and a 12.1-inch MFD. All M-series aircraft feature synthetic vision, automatic level mode, coupled go-around and underspeed protection providing not only increase safety, but peace of mind. Aviation Insurance Resources (AIR) can offer you the broadest package of protection at the best available rate for your Piper Malibu, Mirage, Meridian, Matrix or M-series aircraft Insurance! As fellow aircraft owners, AIR understands your needs and challenges in owning an aircraft. 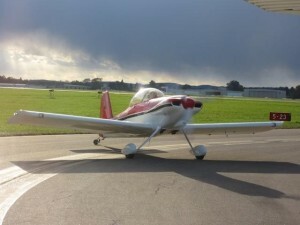 If you are a current or prospective Piper owner, AIR can assist with your insurance needs! To learn more about how Aviation Insurance Resources can assist you with your Piper Aircraft insurance, please call 301-682-6200 today! You may also visit AIR PROS.com and request your insurance quote online! ‘Tis the Season to celebrate our blessings with the ones we love. As you look around your life over the past year, I’m sure the gift of aviation stands out clearly as it does for us at Aviation Insurance Resources (AIR). This holiday season, we look forward to giving back to the aviation industry that has given us so much. We invite you to attend two free upcoming events at the Frederick Municipal Airport (KFDK). On December 12th, 2015 AIR has sponsored a visit from the one and only Santa Claus to Paws & Planes: Holiday at the Airport. This children’s event includes educational activities to include flight simulators, aviation weather, navigation, communication, how airplanes fly and balloons fly. In addition to Old Saint Nick, special guests include: children’s book sensation Turbo the Flying Dog, the Sugarloaf 99s, Frederick County Animal Control, the College Park Aviation Museum and the Tailwinds Over Frederick Hot Air Balloon. 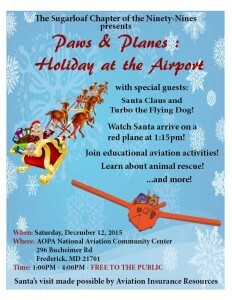 Santa will fly in at 1:15pm, the event takes place from 1-4PM at the Frederick Municipal Airport. To celebrate the new year, AIR will be inviting pilots at the Frederick Airport for an airport hangar party on Saturday, January 9th. Local pilots are invited to share in delicious food and drink and share aviation stories from the past year and their aviation plans to come. Pilots with last names starting A-L are asked to bring a side to share and those with M-Z are asked to provide a dessert. The fun starts at 2pm. For more information on both of these events please email vneuville@air-pros.com. Since 1999, AIR has remained closely connected to the industry they serve, many of our customers are friends and some are even family. This is because all of our agents are pilots, so we understand the needs and challenges in owning or renting an aircraft. From Cessna 172 to a Cessna Citation insurance, AIR can provide a comprehensive yet economical solution for your needs. If a new aircraft may be flying by your tree this holiday season, call us at 877-247-7767 or fill out a quote request online today!